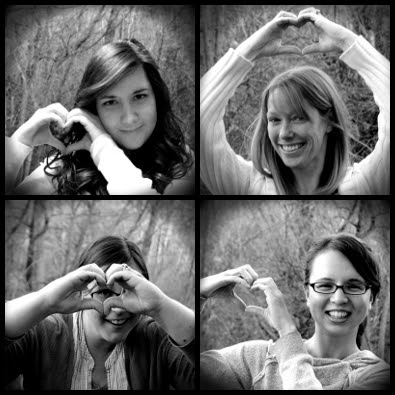 We Heart YA: 2011 YA Genre Book Battle!! You may remember that one of Sarah's top picks for books read in 2011 was IMAGINARY GIRLS by Nova Ren Suma. 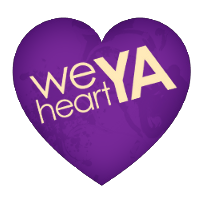 When Fiction Fervor announced over twitter that they needed an advocate for IMAGINARY GIRLS in their annual YA Genre Book Battle (see the handy widget in the sidebar), she jumped at the chance. She thought: "The more people that read this book, the happier Ruby will be. The happier Ruby is, the more rewards. Probably, the longer they'll live. Sarah thinks that Ruby is one of those characters that will haunt her for the rest of her life. Flawed, real, fiercely loyal and loving to Chloe (who narrates the book), she literally makes the world go round. At least in their little upstate New York town. Where does that leave Chloe? Both at risk and protected by her older sister. That's some spooky, and messed up stuff. Also an experience to read. If you, dear readers, feel the same way that Sarah does, please, please, pretty please (you can't refuse when someone says pretty please, it's a rule, yo) vote for IMAGINARY GIRLS on Thursday, February 16 at Fiction Fervor's Book Battle in the Mystery genre. What do you get? The security that Ruby won't haunt you as well (though it's not so bad, really). 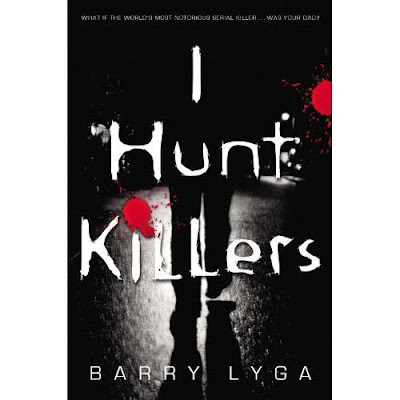 And Sarah will throw in a copy of Barry Lyga's anticipated release of I HUNT KILLERS. Here's the deal: She'll pre-order a copy for one of you (US resident only this time). All you have to do is vote, come back here and comment to say that you voted, and we'll randomly pick a winner. Many thanks! I've voted! Imaginary Girls is such an amazing novel. I voted! 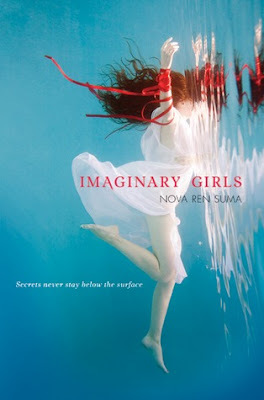 Loved Imaginary Girls!